The Boys’ Cross Country team won the MHSAA Regional for the third consecutive year. They had a team total of 57 points, Gull Lake was second with 76 points. Tanner Hinkle won the Regional with a time of 15:30. Alex Whitmer took second overall and Mason VanDyke took 4th. Greg Ingle was 22, Preston Tickner was 28, Jonah Horton was 55, and Christian Thornton was 67 for the Bulldogs. 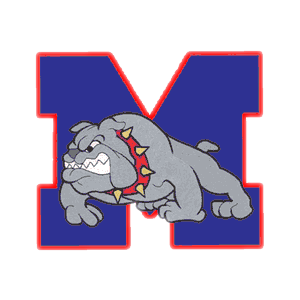 The fourth ranked Bulldogs, and the defending state champions, run in the state finals this Saturday at MIS at 1:30 p.m. The Girls’ Cross Country team missed qualifying for team states by one place, finishing fourth at Regionals on Saturday. The Top 3 teams qualify, Marshall was third with 108 points, and the Bulldogs finished fourth with 138 points. Meg Darmofal was second overall with a time of 18:45, and Cassidy Hass was 13th overall with a time of 20:13, both qualifying as individuals for the state finals. They run at 2:30 this Saturday at MIS. Other Bulldog runners were Nadia Riggs finishing 17th overall, Leaha Sinnaeve was 43, Sophie Ryal was 67, Alexis Lyons was 68, and Libby Jones was 81.